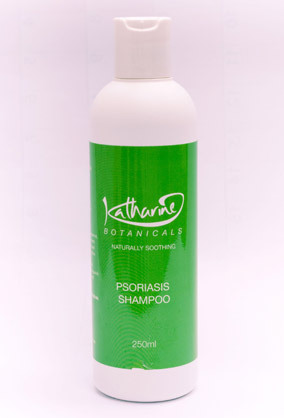 The most common cause of psoriasis hair loss arises from scalp psoriasis. It can even appear on the forehead and sometimes extends to the back of the neck and behind the ears. When it appears on the scalp, it may need a different form of treatment. This is because the skin on the scalp is thicker and hair can get in the way. Some reddish patches on the scalp some of which are barely visible but they can also be very noticeable, thick and inflamed. Silvery white scale and dandruff like flaking on the scalp. It may sometimes look like dandruff but with scalp psoriasis, there is a silvery sheen and dry scale on the scalp. 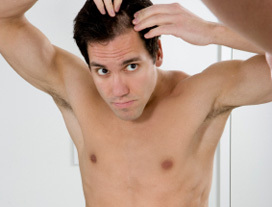 Scratching caused by the itchiness or forcefully removing the scales can cause hair loss. However, once the psoriasis clears, the hair usually re-grows. Since the patients feel very itchy, he/she scratches and this may cause the scalp to bleed. However, scratching is discouraged because it worsens the psoriasis and only makes the patches larger and thicker. These signs and symptoms show up then disappear and some people only have one mild flare on the scalp. Others may have multiple flare-ups which can range from mild to serious. Many things can trigger these flare-ups including cold, stress and dry air. Shampoo gently. Rubbing a recommended type of shampoo gently onto the scalp may help relieve the itchiness. Try not to scratch the scalp. Scalp psoriasis may be extremely itchy but scratching will only make it worse. IT may also cause the scalp to bleed and make it more prone to an infection. It can also cause hair loss making it even more noticeable. Relieve the itch by first treating the psoriasis. When the psoriasis clears, the itching will stop. However, if the itch seems unbearable, talk to your dermatologist. Remove the scales with care. To treat the scalp psoriasis, you need to loosen then remove the scales on your scalp but you must do this very gently. Picking may only cause it to flare up and enhance the psoriasis hair loss. You can also use a scale softener for treating the psoriasis. Scale softeners contain salicylic acid which softens the thick, stubborn psoriasis patches. Softening these patches allows the medicine to work better. When applying the medicine, make sure to get the hair out of the way so that you properly apply the medicine on the scalp and not on the hair. Try not to stress yourself. Psoriasis flare-ups can be stressful but succumbing to the stress can only make matters worse. Stress can worsen the psoriasis and cause your hair to fall out. Find ways to unwind and relax. Dermatologists diagnose psoriasis by taking a look at the scalp. In some cases, a small portion of the affected skin (biopsy) may need to be cut out and examined closer. The piece of skin is sent to a lab for analysis and then the results conveyed to the dermatologist. Scalp psoriasis causes a lot of discomfort to the patients. Some people feel embarrassed and hide but treatment can help ease these problems. There are many effective and safe treatments for psoriasis that can give the patient relief. Some require a prescription while others don’t. Take note that psoriasis can be very stubborn. If yours is stubborn, let your dermatologist recommend the best course of action to take. Trying to treat it on your own may only make it worse than it already is. When handled with care, psoriasis hair loss can be minimized while the psoriasis flares-up. After the flare-up subsides and the psoriasis goes into remission, expect new hair growth to occur.